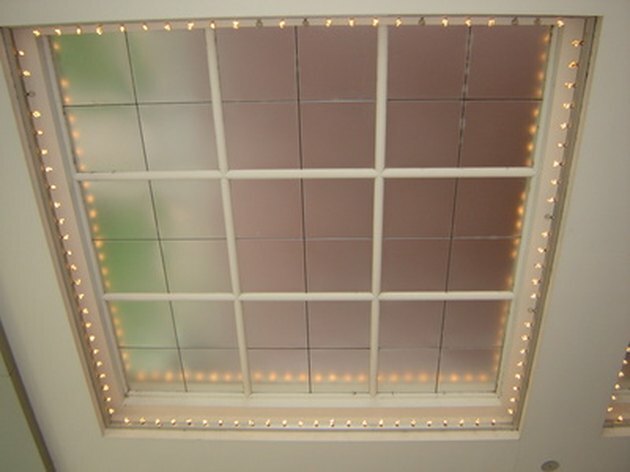 It is now easier than ever to put a grid in a window pane using a pre-made PVC window grid. You can purchase these grids over the Internet from a number of vendors. One brand is cut to the dimensions you need; simply tape it on the window using Velcro-brand fasteners or nylon clips. 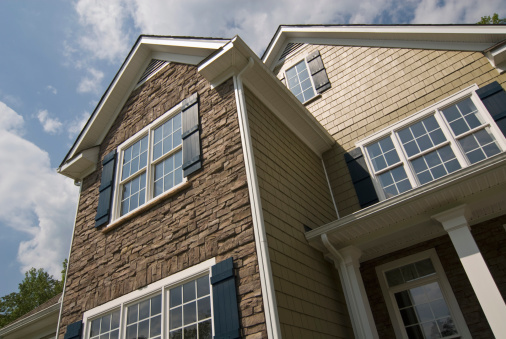 After you install your grid, your one-pane window will look like it has multiple panes of glass. You can install these grids in a window regardless of whether it slides, cranks or has metal or wood frames. You can even add them to French or sliding glass doors. A window grid makes the window look like it has multiple panes of glass. Measure the width and length of the glass pane in your window with the measuring tape. Measure from each edge where the glass meets the window frame. Cut the grid strips to the length and width with scissors. If your window is 3x4 feet, measure the strips with the measuring tape, and mark them with a pencil. Measure and cut four strips that are each 3-feet long and four strips that are 4-feet long. Measure and cut each strip into three sections. Insert the grid strip sections into the connectors. They should slide right into each side of the connector. You will have 4 connectors for the outside corners and 12 to connect the rest of the sections. This will assemble into your window grid. Attach the Velcro fasteners to each connector. Push the Velcro fastener against the connector. The Velcro will adhere the the connector. Remove the backing on the fastener so you can adhere the grid to the window glass. Press the grid and connectors up against the inside of your window so the grid is centered and the ends sit up against the window frame. You must press on the Velcro connectors that have a self-adhesive backing to adhere the grid to the glass. JIm Cooper is an attorney and business consultant. He serves on the board of many corporations. He is also a published writer with more than 30 years of experience. Cooper's articles have been published in "American Executive," "Men's Health" magazine, "Newsweek," "Marie Claire" and "Mademoiselle" magazines.